Teens have so much on their minds that they often forget to mind their teeth. But adolescents need to pay proper attention to their dental care because according to pediatric dentists, their oral health and habits today can impact their teeth tomorrow. Braces are practically a teenaged rite of passage since so many adolescents wear them. But today, numerous adults and younger kids are also wearing braces because they work wonders to straighten crooked teeth, re-align a bad bite, improve a smile’s appearance, and enhance overall dental health. Braces are available in many different styles and colors, so talk to an expert in affordable family dentistry or kids dentist to find out which braces are best for you. There are many emotional, psychological, physical, and social problems caused by eating disorders. 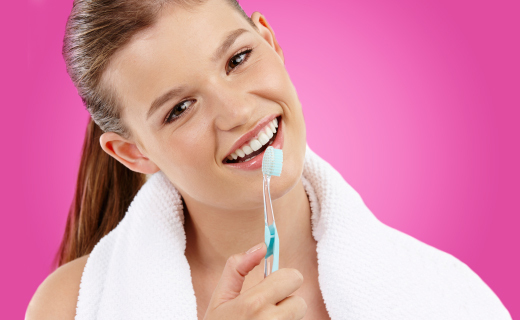 They also have a dental component, which can cause disastrous damage to oral health. Poor nutrition can cause the gums to bleed easily, while other risky behaviors can cause stomach acid to damage tooth enamel and harm the appearance of teeth. Kids dentists often discover the problem and urge teens to seek counseling and care from a healthcare provider who specializes in this struggle.